German lightheavy Enrico Koelling (18-1) has been diagnosed with diabetes type 1 and that is the type one is born with or gets during childhood writes Berliner Kurier. 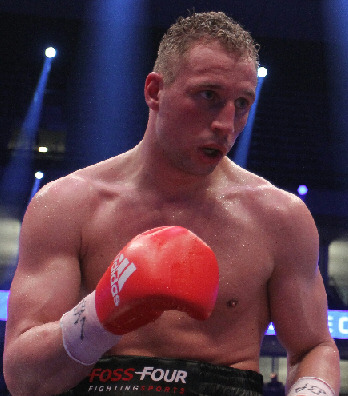 However the 25-year old, promoted by Sauerland Event, has been living a normal life until recently when he all of a sudden lost a lot weight and had other problems. In the ring it showed with a flat performance against Mirco Ricci when he lost the WBA I/C title. Initially Koelling thought it was all over with boxing but have now had second thoughts and will continue his career and he does so with full support from Team Sauerland. Koelling is trained by Karsten Rover and when it comes to conditioning he has few superiors. Unbeaten supermiddle Niklas Rasanen (9-0) take on tough Serbian Geard Ajetovic (26-11-1) in the headliner of an outdoor show in Savonlinna in Eastern Finland. Rasanen have an agreement with both promoter Pekka Maeki in Finland and with OPI 2000 in Italy so he mixes his career between these two countries. In Ajetovic he face his first test. Highlight on the undercard is an all Finnish matchup between Nordeen Toure (4-0, 4) and Jarkko Putkonen (11-0). Toure´s first four fights have all ended in the first. Also on the bill is WBC female superfeatherweight champ Eva Wahlstrom. Kazak cruiser Isa Akberbayev (16-0) is currently back home on what might be described as paternal leave and a planned fight in London September 21 fell through. Akberbayev´s next fight is set for October 31 in Hamburg. As for opponent matchmaker Mario Pokowietz says they are looking for Roy Jones, Jr, but nothing is signed. German-based superlightweights Zapir Rasulov (29-0) and Rene Mahling (20-2-1) square off October 3 in Oklahoma City on a HD Boxing promotion. Rasulov was previously training and fighting in Panama and has been waiting for his big break a few years now. Both men have in the past been licensed by the German Boxing Association, the GBA, and the GBA are now looking to become full members of the ABC. Aduashvili was floored twice and the towel came in. There was a clash of heads and Lazar stopped fighting and there was a timeout that led to what was announced as a technical draw - but must have been a NC. Anyways, Lazar pointed to her forehead and there was a bump - but it is claimed there was a cut on the eyelid but it it´s not visible. Jurkovs was floored twice and then the towel came in. 60-51, 59-52 twice. Lora had two points deducted. IBF Youth title, scored 97-93, 98-92 and 99-91. 58-56, 59-56, 59-55. End of the line for Dirks.